Don´s truck? Wrong label Justina. It´s Ducks´truck! Uh oh, don’t let him have the keys! Nuh uh. I’m not buying it. As much as he likes ducks, Don’s not going to advertise the fact on his window…at least I think he’s not. On the bumper, maybe, but not the window. It almost looks like your ducks were just walking in a line, elementary school style, and the truck just happened to be in the way! I don’t know how the ducks could get any cuter but they do. I just love the picture of them out for a stroll. 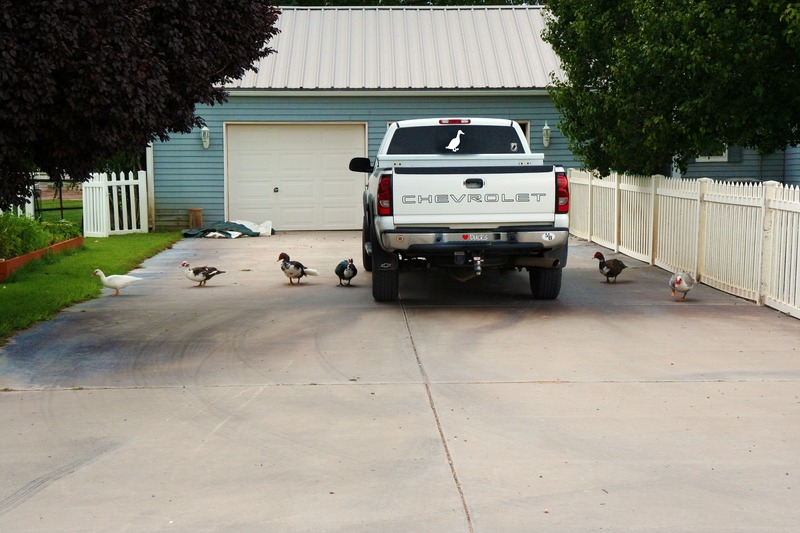 I think the ducks like the truck graffiti. Duck, ducks. It’s a truck! !